Ace Finish provides a complete car bodywork repair service, either from our fleet of mobile vans or our unique Express Bodyshop and Powder Coating & Diamond Cutting alloy wheel repair centre based in Huntingdon near Cambridge. Our paint repairs are carried out where and when you need them.... saving you time and money. Ace Finish provides professional and affordable repairs to car paint bodywork and alloy wheels. We repair minor accident damage, vandal or key scratches, bumper scuffs, dents both large and small and panel replacement. Our specialist powder coating & Diamond Cutting alloy wheel repair facility is state of the art. We fully refurbish alloy wheels including curb or corroded alloys, we also have an alloy wheel straightening and welding workshop to repair buckled and cracked alloys. Ace Finish is an independent, branded company, NOT a franchise. Ace Finish is a family run business, established since 2009 and covering the Cambridge, Peterborough and St Ives regions. The Ace Finish paint repair technique has been developed to give high quality, professional finishes, which can only be carried out by a qualified technician. Our choice colour matching system has been designed to work in conjunction with manufacturer’s specifications. Also as an independent company we have access to insurance approved paint systems. 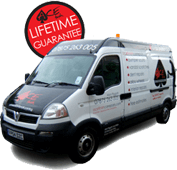 Each Ace technician has undergone extensive training to guarantee you the highest standard of repair each and every time. Ace technicians are capable of repairing minor crash damage, dents and scratches, bumper scuffs, alloy wheels and most paintwork damage. Using specially formulated, environmentally friendly paints and award winning lacquer, we ensure the repair and finish is of the highest standard. when you need them.... saving you time and money.